Do the phases Do-it-Yourself kitchen design and Luxury Kitchens belong together as a cohesive concept? 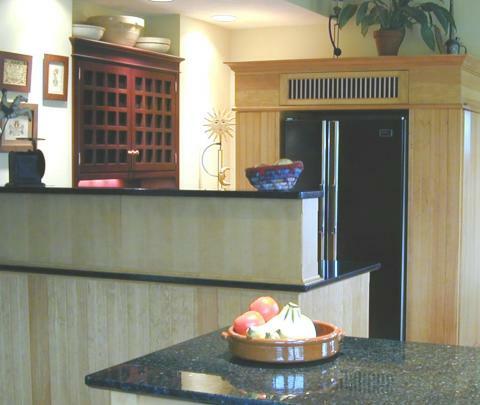 Think about furnishing your kitchen instead of installing cabinetry. A normal luxury kitchen design project can be a daunting experience for the unsuspecting homeowner. The choices of cabinetry, counter tops, appliances and accessories on the market today are staggering. Architects, Interior Designers and Certified Kitchen Designers are all available to guide homeowners through the process of creating their dream kitchen. Of course, these kitchens cost substantially more due to the consultant’s fees (which are typically worth the money by the way). But those fees and mark ups may price the job beyond what many people can afford. Try to design the project without the aid of a trained a professional. But for the many homeowners who try to tackle the job themselves, the potential for disaster is great. 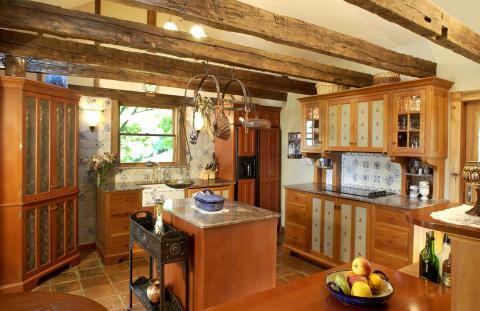 Especially for those trying for a more up-scale kitchen than those available from the home centers or lumberyards. So how can you get an upscale quality kitchen for less? One very critical first decision can help pave the way to success. Instead of designing with standard cabinetry, you now have the option of using furniture designed especially for kitchens! The process is FUN, FAST and EASY! Most people furnish other rooms in their homes with an eclectic collection of furniture that has been gathered from different sources throughout their lives. Few actually have the luxury of hiring a designer to style their home with ‘dream furnishings’ that meet their every desire. YesterTec Design Company’s Kitchen Workstation Furniture makes it possible for you to design your luxury kitchen without the help of professional designers. Now, instead of installing continuous bands of cabinetry and counter tops, your new kitchen can be styled with an eclectic collection of heirloom quality, highly efficient, professionally designed, handmade pieces of furniture or ‘workstations’.It’s a completely different concept for kitchen design! And it allows the kitchen design process to be as simple as selecting the furniture for any other room! So instead of paying for designer’s fees and retailer’s markups, you can afford to buy a more upscale product for your kitchen project! How does the ‘Do-It-Yourself’ design process work? David Beer, an architect and founder of YesterTec recommends that customers typically start by visiting the website (www.yestertec.com) to determine if the concept of furniture is appropriate for their project. Then, a quick call to The Kitchen Works, YesterTec’s showroom near Bethlehem, PA for ‘ball-park’, Factory Direct Prices will determine if workstations are within the homeowner’s budget. If so, it is then appropriate to order the designer’s catalog. Then David helps his customers plan their new kitchen by sending or faxing CAD design drawings and price quotes until the design is completed. 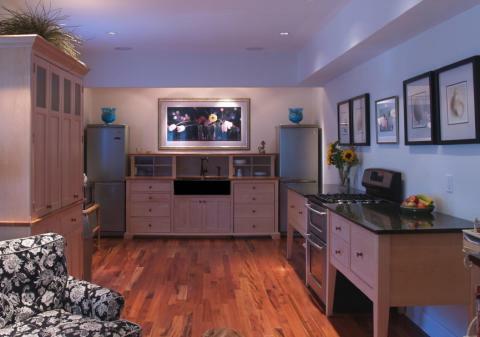 How do you ‘create’ a kitchen using workstations? Typically, you need to think of the design as a finished empty room that is then furnished. This usually means that the need for wing walls and soffits is eliminated, (another cost savings) and the flooring and ceiling surfaces from the adjacent rooms can simply continue uninterrupted into the kitchen. So the continuity of the design from other rooms such as a family room can blend right into the kitchen. If the design is a renovation project, the room’s existing measurements and features should be recorded, whereby they can be entered into YesterTec’s computer design system. Precise measurements are not as critical when there are spaces between the pieces. Sometimes, people even move the pieces around somewhat once they arrive! Many times, no layout drawings are created at all as people purchase the pieces just like they have purchased furniture for their other rooms. But it is recommended to plan the layout carefully since kitchen workstations need to connect to utilities that typically don’t move around as easily as the furniture. YesterTec workstations are ordered by selecting from a vast array of pre-designed and pre-priced options that are graphically presented in YesterTec’s designer’s catalog. 3-D computer renderings help you visualize the appearance of the new room. But most importantly, you never need to design anything from scratch. This process produces instant price quotes and gives you confidence that each piece is a well thought out, professionally designed piece. Then YesterTec takes care of all the technical details involved in producing the furniture. Even the stone and solid wood counter tops are produced complete with cutouts so that no on site, messy cutting and sanding is required. The pieces are then protected and shipped blanket wrapped (just like fine furniture) directly to your home or construction site. When the pieces are delivered, they arrive in large, pre-assembled pieces, just like furniture. Most pieces are in one or two pieces, not including the separate stone top. The largest pieces that cannot fit through standard door openings are shipped in a few ‘knocked down’ pieces that can be assembled very quickly. This all translates to less time and less ‘skilled’ labor (and less cost) that is required for installation. If you are not handy enough to carry out a do-it-yourself installation, you can hire a local cabinet installer or trim carpenter for a few hours to co-ordinate the simple procedures. And just like any other kitchen project, a local electrician and plumber is required to hook up the utilities. Is America Ready to break away from standard kitchen design? 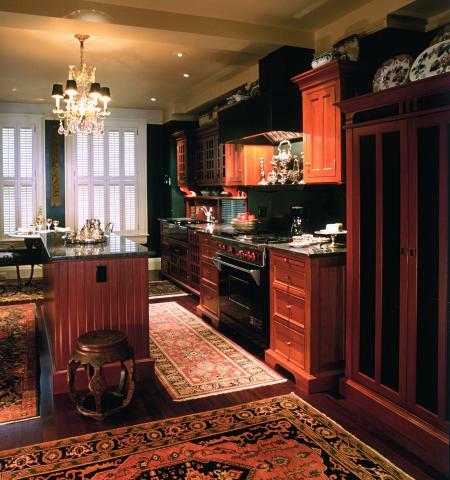 When it comes to the kitchen design world, traditional cabinetry concepts reign supreme. Most designers have yet to discover the advantages of using super-efficient workstations in their designs, mostly because they have been too busy to learn a new concept. In many cases, YesterTec’s customers became Do it Yourself designers because they couldn’t find a designer who could give them the kitchen they wanted! But once designers become familiar with the concept, very exciting rooms will start to emerge. As for now, YesterTec’s customers are pioneers. They are independent thinkers who want quality products that are completely unique. They have taken the steps required to understand and exploit this exciting new concept. And along the way, they have had a lot of fun discovering a less expensive way of creating their own personalized ‘Luxury’ kitchen using workstations instead of cabinetry. 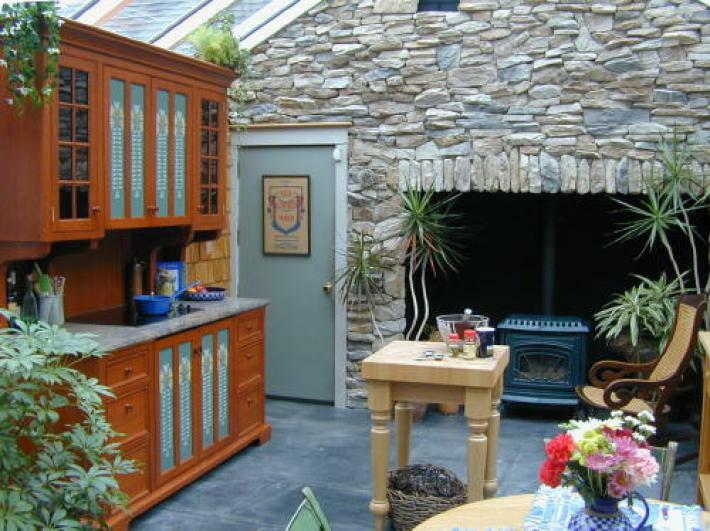 Note: All images shown are from kitchens that were designed by their owners.